We Are Making Podcasts Great Again! 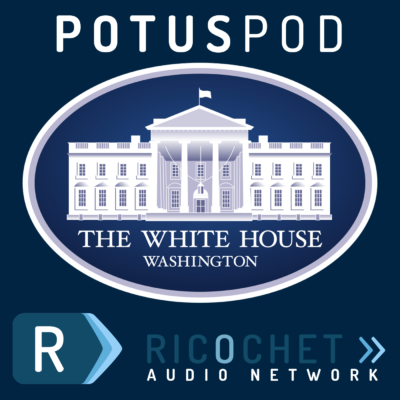 This podcast is presented by the Ricochet Audio Network at Ricochet.com as a public service to provide an audio archive of the Donald J. Trump administration. This podcast may go down as being one of the best, if not the best, in all honesty, podcasts of all time, we can tell you that, believe us. 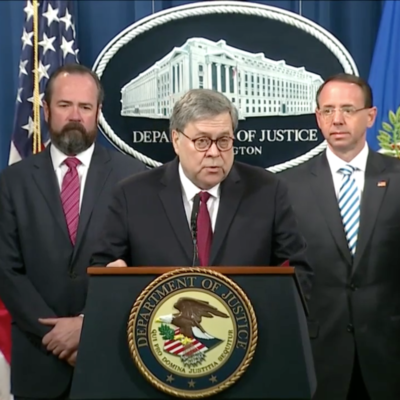 We'll carry speeches by the President of the United States (POTUS), and the weekly address to the nation, as well as White House briefings and other related audio events. 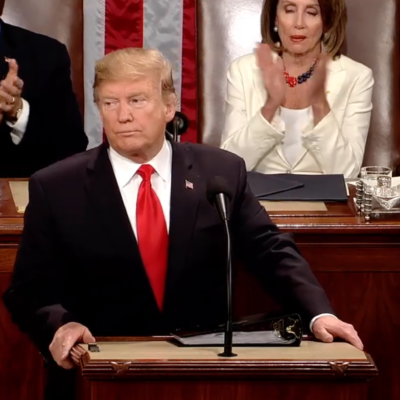 President Donald Trump delivered his second state of the union address on February 5, 2019. In his first Oval Office address to the nation, President Donald Trump spoke about border security. You can also watch the address (and the response from Nancy Pelosi and Chuck Schumer) at https://ricochet.com/586720/trump-oval-office-address/. Donald Trump met with his cabinet secretaries on Wednesday and discussed primarily border security. Donald Trump welcomed Senate Minority Leader Chuck Schumer and soon-to-be Speaker of the House Nancy Pelosi to the White House to discuss a variety of issues including criminal justice Reform and border security. President Trump held a press conference the day after the 2018 midterm elections. President Trump and Brett Kavanaugh spoke during a swearing-in ceremony in the East Room of the White House on October 8, 2018. Former Justice Anthony Kennedy administered the judicial oath of office to Justice Brett Kavanaugh. Kavanaugh had taken the official oath of office on October 6, immediately following his confirmation 50-48 by the Senate. 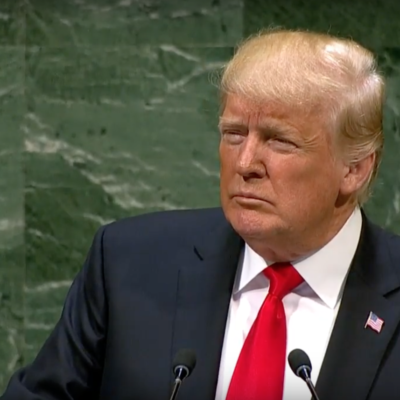 Donald Trump’s speech at the UN General Assembly. 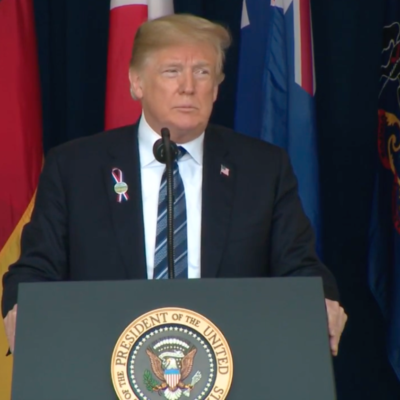 President Trump attended and spoke at the Flight 93 September 11 Memorial Service. 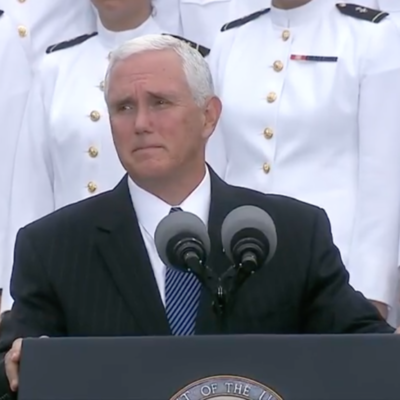 Vice President Mike Pence participated in a 9/11 observance ceremony at the pentagon on September 11, 2018. Donald Trump and Vladimir Putin hold a press conference in Helsinki, Finland. President Trump nominated Judge Brett Kavanaugh to be an associate justice of the United States Supreme Court. Donald Trump gave an hour-long press conference in Singapore after his meeting with the North Korean dictator Kim Jong Un. President Trump’s Memorial Day speech. President Trump welcomed Josh Holt back to freedom and the United States in the Oval Office of the White House, joined by Holt’s parents and senators Orrin Hatch and Mike Lee and Representative Mia Love, all of Holt’s home state of Utah. Also in the Oval Office was Senate Foreign Relations Committee Chairman Bob Corker (R-TN), who traveled to Venezuela to bring Holt home. Holt had been incarcerated Venezuela for two years on trumped up weapons charges. Fox News reported that a senior Trump administration official confirmed “nothing” was given to Venezuela in exchange for Holt’s release. President Trump delivered a video address at the dedication of the American Embassy in Jerusalem, Israel. President Trump announced his decision to withdraw the United States from the Joint Comprehensive Plan of Action (“Iran Deal”). Donald Trump and Emanuel Macron, the president of France, held a joint press conference in Washington during Macron’s state visit to the United States. Sarah Sanders took questions from the press in the wake of the FBI raid on President Trump’s personal attorney Michael D. Cohen’s office and home. During a cabinet meeting, President Trump condemned the recent “barbaric” chemical weapons attack in Syria, and promised a response within the next day or two, “whether it’s Russia or it’s Syria” that is responsible. Trump also address trade relations with China and other “bad deals” with other countries.